Last updated 11/14/2008 by David Giblin. Publication: Trans. Amer. Philos. Soc., n. s. 7: 308. 1840. 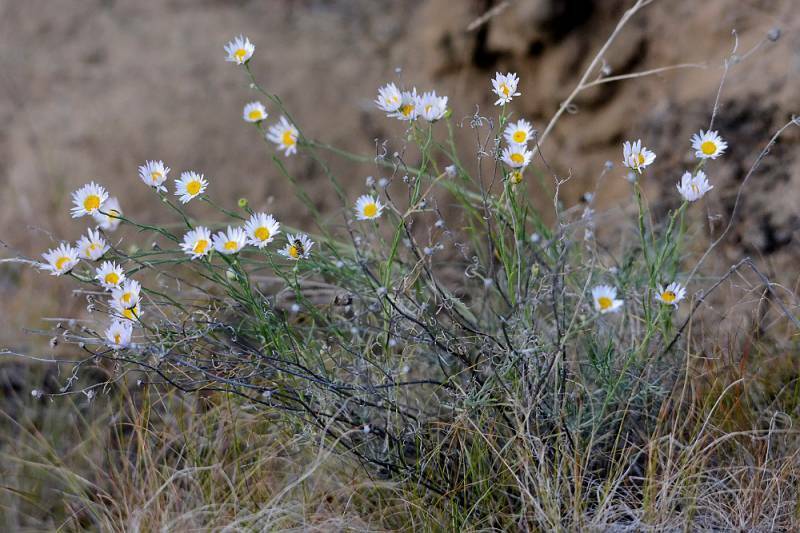 Notes: FNA20: "The densely white-strigose stem bases, linear-filiform leaves relatively unreduced distally, and relatively few heads with coiling, usually blue rays are distinctive for Erigeron filifolius. Proximal leaves are not clustered as a basal rosette; they are inserted on closely spaced nodes that are slightly more separated distally. Plants identified as var. robustior (with more ray florets, fewer heads, and thicker stems, centered in Oregon and Washington) intergrade with the typical form and apparently are separated arbitrarily."